On the North Slope of Alaska, snow is melting earlier in the spring and the snow-in date is happening later in the fall, according to a new study by CIRES and NOAA researchers. Atmospheric dynamics and sea ice conditions are behind this lengthening of the snow-free season, the scientists found, and the consequences are far reaching—including birds laying eggs sooner and iced-over rivers flowing earlier. "The timing of snowmelt and length of the snow-free season significantly impacts weather, the permafrost, and wildlife—in short, the Arctic terrestrial system as a whole," said Christopher Cox, a scientist with CIRES at the University of Colorado Boulder and NOAA's Physical Sciences Division in Boulder, Colorado. The study has been accepted for publication in the Bulletin of the American Meteorological Society. Focusing on the transition seasons on the North Slope—the springtime snowmelt and the autumn onset of snowpack—the researchers found that since the mid-1970s, the spring melt has been happening earlier, and the first snow has been happening later. The end result: an increase in length of the snow-free season, by about one week per decade from 1975 to 2016. From 1975 to 2016, the spring snowmelt has arrived nearly three days earlier every decade, and from 1979-2016, snow onset has arrived later, by about 4.5 days every decade. Despite natural swings up and down, a persistent, long-term warming trend emerged: eight of the 10 earliest melt dates have occurred since 1990, pointing to the influence of warming Arctic temperatures. 2016 experienced the earliest melt, the latest onset of snow in autumn, and the longest snow-free season in 115 years of record-keeping—about 45 percent longer than the average over the previous four decades. The researchers found that large-scale features of atmospheric circulation—in particular, the strength and position of the Aleutian Low, a semi-permanent, subpolar area of low pressure located in the Gulf of Alaska near the Aleutian Islands—largely determined the timing of snowmelt during spring in Alaska, by either facilitating or inhibiting the transport of warm, moist air into the region. 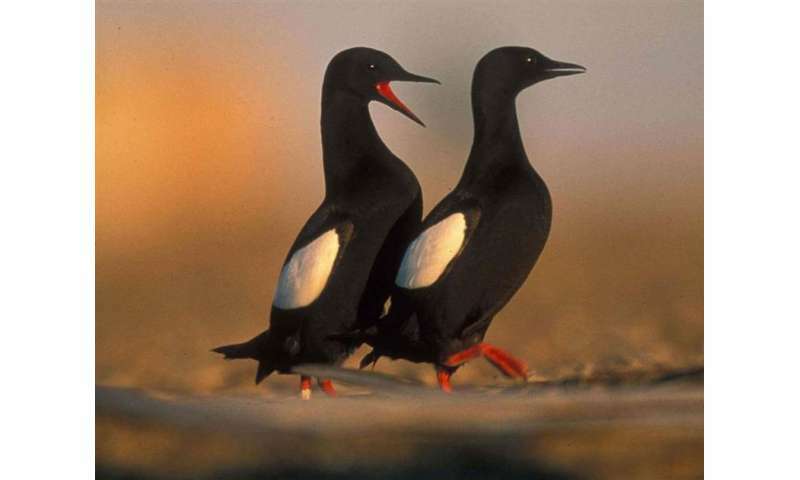 "It's remarkable how rapidly things are changing in the Arctic and how the longer snow-free season affects so many other patterns—the guillemots, vegetation growth, and fluxes of gases from the tundra," said Diane Stanitski, co-author of the paper and a scientist at the NOAA Earth System Research Laboratory in Boulder, Colorado. [q/]The end result: an increase in length of the snow-free season, by about one week per decade from 1975 to 2016. From 1975 to 2016, the spring snowmelt has arrived nearly three days earlier every decade..."
So which is it-- a week earlier per decade, or 3 days earlier per decade? Consider the source. Both CIRES and NOAA have a political agenda they are pushing. The reality is that the length of the winters in Alaska has not changed by much in the last 100 years. Since 1917 the Nenana Ice Classic has been recording the break-up of the Nenana River down to the minute. In the last century the earliest recorded break-up was on April 20th and the latest break-up date was on May 20th, with an average breakup date of May 5th. The overall trend since 1917 is the ice is breaking up later and later, meaning it is now colder longer than it was in 1917. There are bags of hammers that have better comprehension, and math skills .
" the spring snowmelt has arrived nearly three days earlier every decade... snow onset has arrived later, by about 4.5 days every decade. " 3 plus 4.5 = 7.5 of about a week.
" political agenda they are pushing." The source of your river is a glacier with the same name here's a shot of it .............. That is not a glacier in cracker jack shape. Your Climate Central link is 180 degrees from your statement , you get " The Bang of Hammers Award " as well . In race to the bottom you 2 guys are neck , and neck. The end result: an increase in length of the snow-free season, by about one week per decade from 1975 to 2016. From 1975 to 2016, the spring snowmelt has arrived nearly three days earlier every decade..."
Thanks for clearing that up, Bob, I suppose I read the passage too quickly, and comprehension similar to that of a bag of hammers was the result.